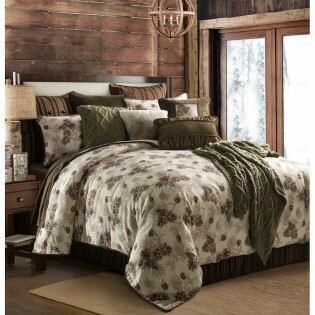 The Forest Pine Comforter Sets feature a back to nature pine cone design. 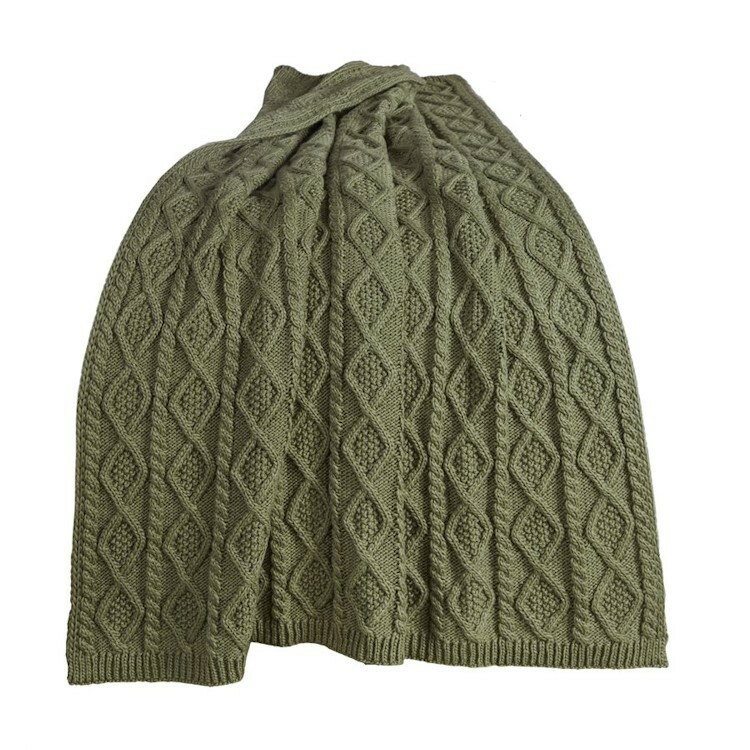 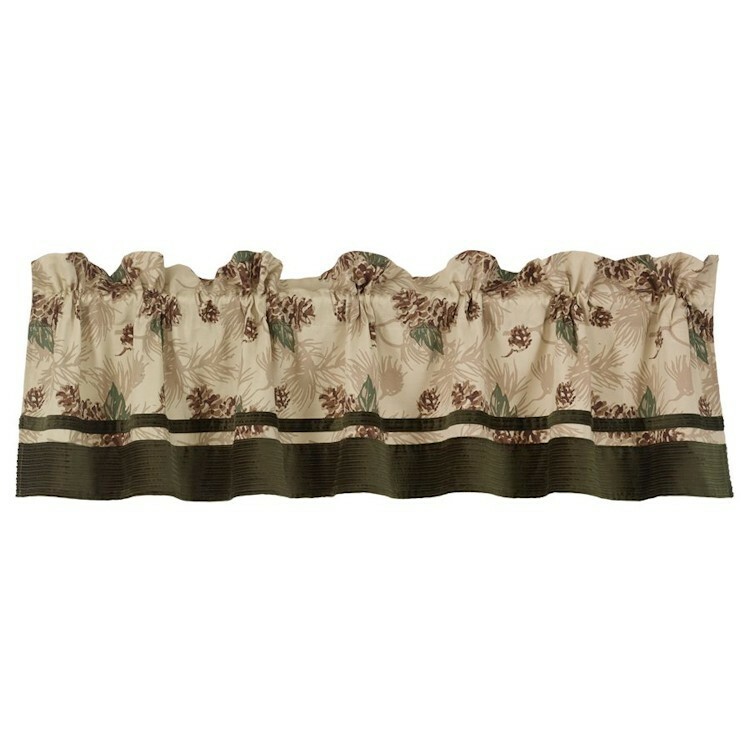 The tailored stripe bedskirt in gold, green and shades of brown provides the perfect accent. The pillow shams echo the beautiful pattern of the comforter. 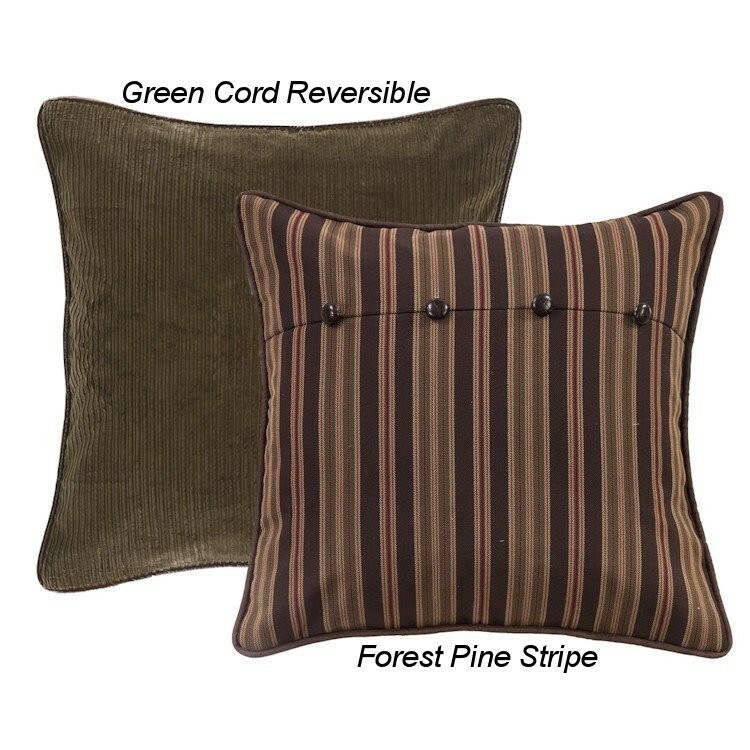 Predominate colors in this bedding ensemble are shades of brown, green and taupe. 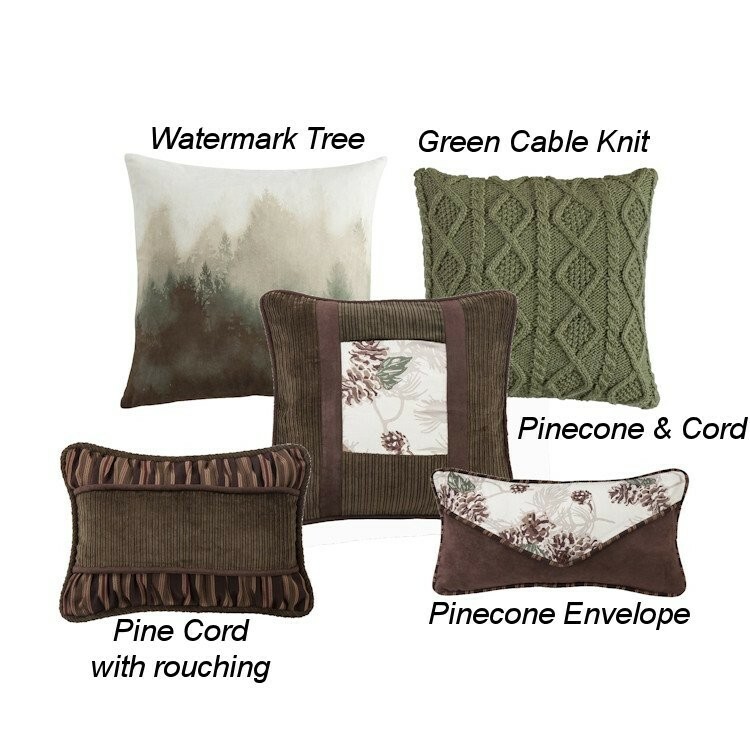 By adding extra pillows, euro shams and a decorative throw you can create your own signature look. 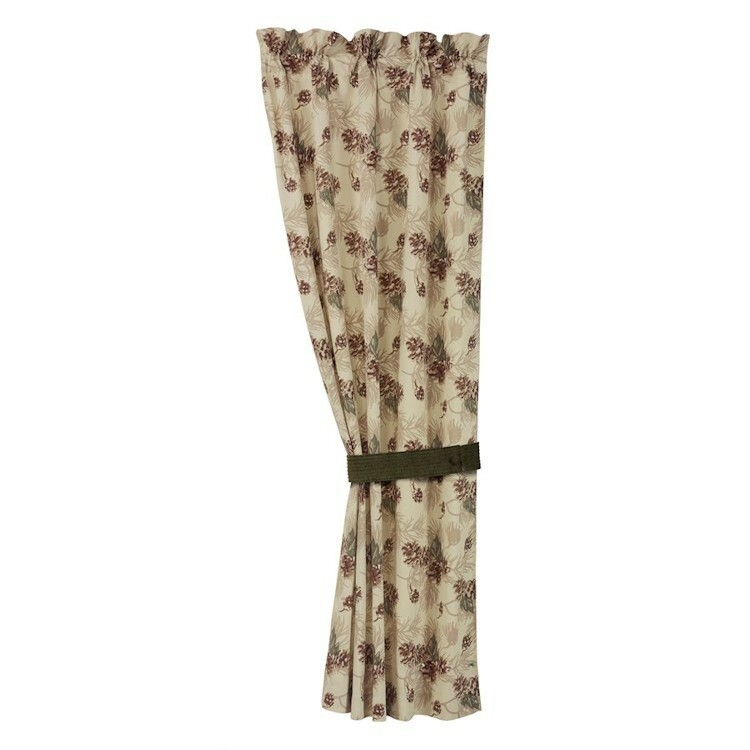 Dressing your windows with coordinating drapes or valance will complete the look of your room.